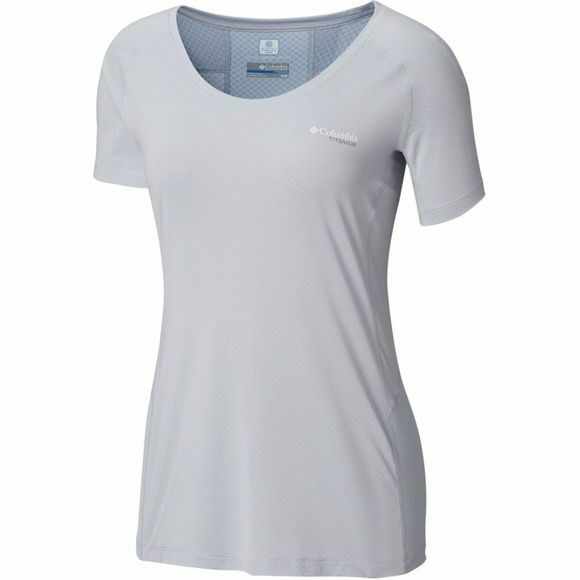 This Columbia Titanium women tee-shirt is a must-have for your next hiking journey. It is super-light and is a bit of stretch for more comfort both for the side and back panels. The material features a sweat-activated cooling system which means that when you sweat, the fabric temperatures goes down. 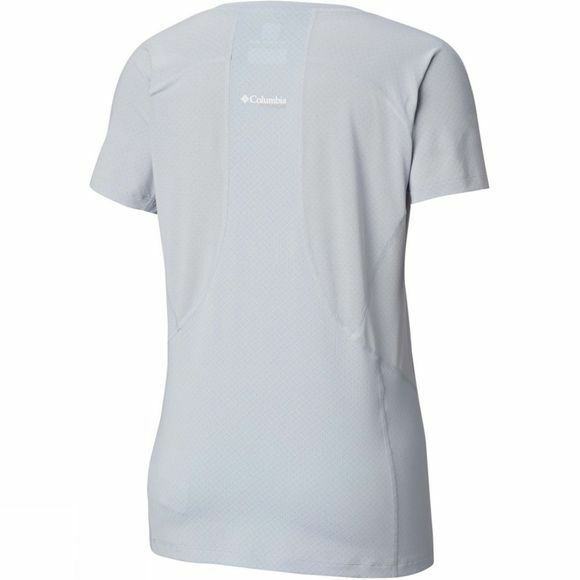 It also has a special wicking fabric to quickly draw sweat away from your body and built-in UPF 15 sun protection.